Shampoo With Aloe Vera & Hemp Oil. 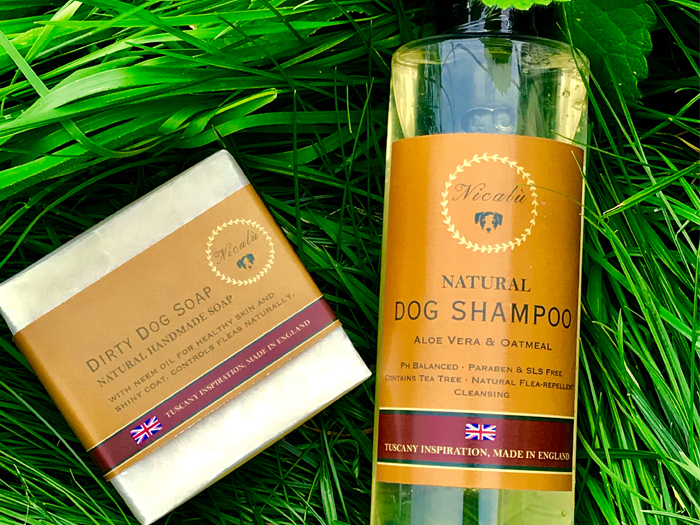 Made using glycerine, oatmeal and aloe vera to moisturise and condition your dogs skin and coat. Contains Hemp oil which is high in Omega 6 and can greatly help with dry skin and itching. We use Tea Tree and Peppermint essential oils to give a medium strength scent, useful for removing any unpleasant odours. Tea Tree is an antiseptic and natural flea-repellent. Both oils are completely safe for your dog.